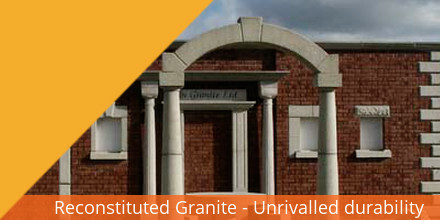 In Granite Recon produce a range of seating in reconstituted granite (cast stone) suitable for patios, parks and other public and commercial concourse areas. 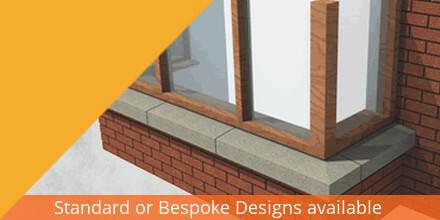 in addition to our standard Seats and Benches we will be happy to provide assistance and advice in the specification and design of bespoke items. The pedestal bench available in buff or white colours features a simple, elegant bench atop two attractive pedestals. This stunning Star Bench available in buff or white colours and will create an elegant resting spot in any location. 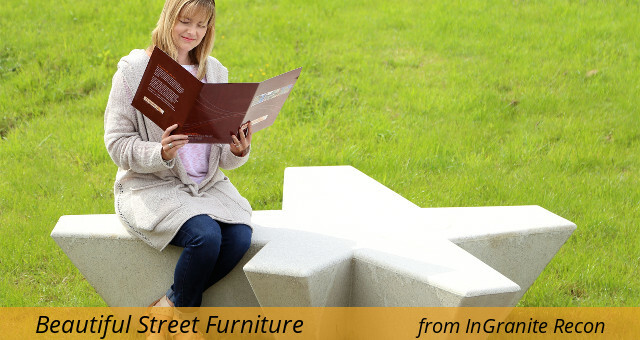 The Star Bench is a fine example of architectural cast stone street seating. These elegant seats are available in buff or white reconstituted granite and sit well in even the most high-end surroundings with their distinctive star shape. The Star Bench units are substantial and free-standing with no supports required and are equally suited to a paved urban concourse or park-lands.